If there is any one style of shutter that is requested more than any other it is Plantation Shutters. What is surprising is that many people come to us for Plantation Shutters without even knowing what they are. Simply put, there has been so much publicity on Plantation Shutters over the years that people recognize the style as something desirable without fully knowing the style. 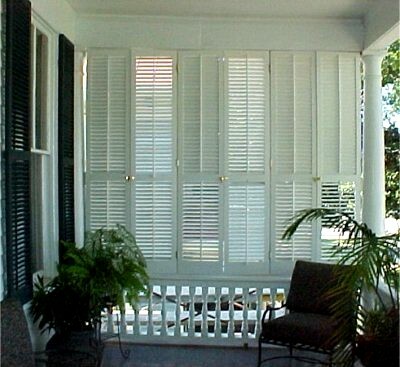 Plantation Shutters, in their basic form, are louvered shutters with approximately 2″ to 3″ wide operable louver blades. 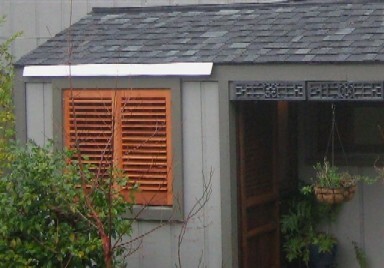 Our Plantation Shutters feature a 2.1/2″ wide operable louver blade. Why are they called Plantation Shutters? 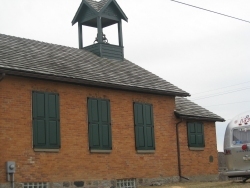 While some of the old plantations in the South used operable louvered shutters with wide louvers the term is much more recent. The term “Plantation Shutters” is really just a marketing idea someone came up with along the way, most likely not long after the release of “Gone with the Wind” and our introduction to Tara, Scarlett O’Hara and Rhett Butler. Let’s face it, “Plantation Shutters” sounds so much nicer than “Shutters with wide, operable louvered blades”. So get a price quote on Plantation Shutters but remember they are only one of many styles of interior shutters. We’ll be happy to price as many shutter styles as you would like. Finding a wood shutter supplier with a simple Google search is easy, just be attuned to where and how the shutters are made and with what they made with before you buy. Do your homework by simply asking questions and doing some internet research on the materials and construction methods. There are many types of wood that shutters can be made with but you’ll want to choose the material that is best suited for your installation whether it is inside or out. Each supplier or direct manufacture should be able to help you with selecting shutter and shutter hardware styles suited for the application and the sizes that you will need. Some companies even offer finishing services from a basic prime to a full finish ready to install. With the different types and styles of shutter hardware that are available your shutters can be fully functional as well as decorative. Picture at right: Kestrel European Board & Batten with Breadboard top. However, there is something wrong with this install- Do you know what it is? You are welcome to post your answer in the comments section below. 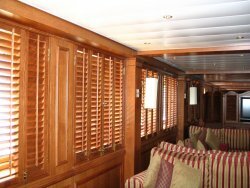 Here at Kestrel Shutters & Doors we have been making both interior and exterior shutters since 1989. We are located in Southeastern Pennsylvania where so many shutters adorn the classic Chester County façade found on many historic homes and sites. The shutter designs that we have chosen as ‘standards’ follow the older shutter styles found not just here in Chester County but also throughout the US and abroad. 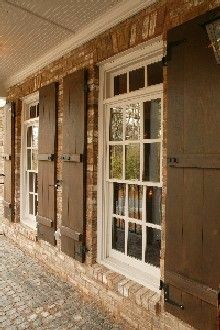 The shutters that we build are made entirely by us entirely here in house. 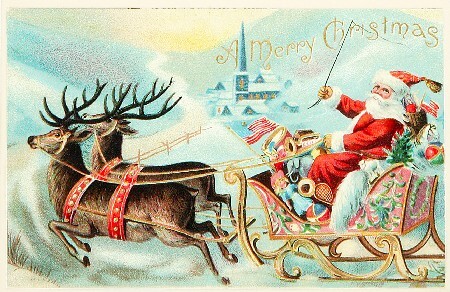 We have a very good as well as dedicated team who produce each order. It’s a several step process before each shutter is assembled by hand. The process begins with hand sorting rough lumber for each order and then milling it to size and profile. Through the use of various specialized equipment we then process the milled materials into individual component parts. Where components are joined together we use what is called a mortise and tenon joint construction. Note: Just because it’s mortise and tenon joinery does not imply that it is good unless it’s milled correctly. 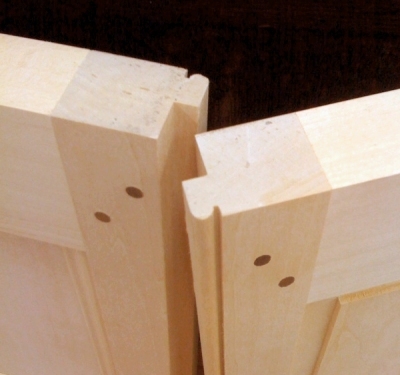 Joints that are loose or secured with screws in the end of the tenon are not as strong and are prone to failure. The best and most historically accurate way to secure a mortise and tenon joint is with a peg that goes through the tenon locking it in place like a cotter pin. Kestrel mortise and tenon joints fit snugly together and are secured with Honduran Mahogany pegs. The pegs are positioned on the face of each stile according to the size of the tenon. The hardwood that we use, Basswood and Spanish Cedar, come out of forests that are managed and are harvested responsibly. American Basswood is for interior use and Spanish Cedar is for exterior and interior use. 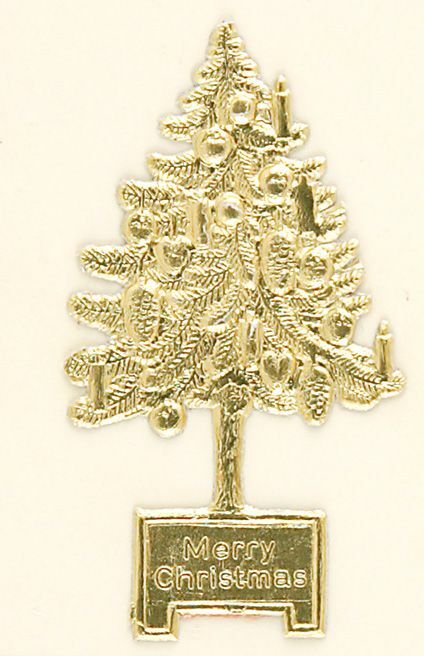 Basswood, known as Linden wood, is used by woodcarvers because of it’s many good qualities. The stability, workability, and light patterned even graining is why carvers use it and that is what makes it a great choice in making interior shutters and interior doors, especially those with louvers, since the material holds straight and true. Spanish Cedar is traditionally used in lining cigar boxes and humidors. We began using Spanish Cedar over a decade ago as an alternative to Western Red Cedar because of the consistent quality of the wood that was lacking in Western Red and we found it to be more durable. While Spanish Cedar is predominately used for exterior work because it “breathes” out moisture making it rot resistant, the material also performs very well for interiors too, especially in humid areas where moisture is prevalent. It has also been used as a substitute for Honduran Mahogany since the grain pattern, color and quality are very similar. Every shutter and door is made to order and available in unfinished wood or completely finished. By choosing full finishing in either paint or stain the shutters are ready for installation once received. However, if you are a DIY, do-it-yourself, kind of person we are the originator of a product called The Original DIY Shutter™ kit. DIY Shutters™ are the same as our fully assembled version; we just do not assemble them. DIY Shutters™ are an easy to assemble kit to be completed start to finish on site with some general woodworking tools. 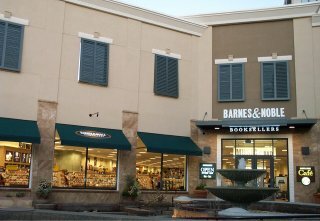 We developed DIY Shutters just about the same time that the company started. The benefits in a DIY kit is about saving money and a great satisfaction in building your very own top quality shutters. Did you know? We also offer DIY Shutter™ component parts.